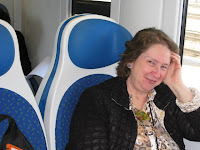 Ofilia and I boarded the train in Venice for Florence on Friday, april 4. We got a pannini to go for lunch. 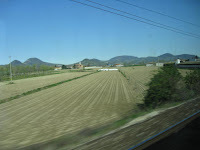 The train trip was about 2 1/2 hours through kind of flat countryside although there were mountains in the background. 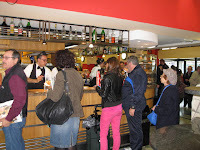 Cafe Bars everywhere - even in the train station! 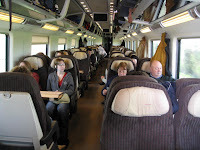 I see my photos of the train trip came after the Florence photos. Oh well! 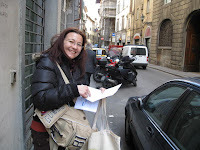 When we got to Florence we were met by Elana who is Italian but speaks fluent English. It was great to have her with us. She is a tour guide who knows Ofilia. 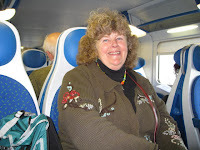 She gave us a great tour around Florence and then Tuscany. But first I'll tell a little about Florence. This will be in pieces as it is time to go to bed. I put some photos here of the River Arno, the Duomo (dome) and the Ferragamo building. 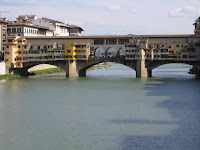 The photo of the river shows the Ponte Vecchio bridge which is jewelry shops. 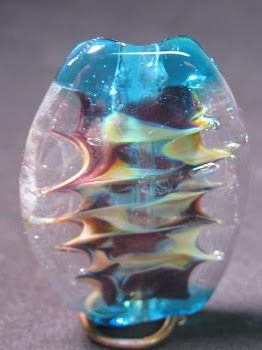 These have been in the same family for generations and are quite expensive. On top of the Ponte Vecchio is a secret corridor where the Mediccis use to walk from their building in town to their palace (Pitti Palace). This way they did not have to walk with the "rif raff" of Florence! Also, the bridge was not bombed by the Germans during WWII as the German general was an architect/history buff and kept the bridge from being bombed. The Duomo is a Gothic cathedral with the first dome without support (built 1300 -1435). The cathedral was built in anticipation that someone would figure out how to build a dome in the future! 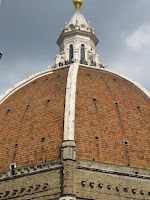 And someone did figure out how to build a dome without support - Brunelleschi. This was then the first Renaissance dome and model for domes to come. If you climb the dome, it is 463 steps. Brunelleschi also invented the first cafeteria as he needed to feed all those folks working on the dome but it was too time consuming to come down. 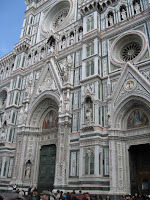 The cathedral is made out of white, pink and green Tuscan marble. 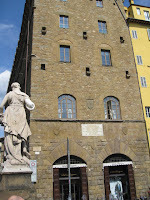 The other photo of the brown building is the Ferragamo main store. But what is interesting is the little holes where in ancient times they could dump things out on people's heads for protection of the people inside! This is just a small piece of Florence. More later but I'm tired and off to bed.